I feel like an idiot, as Aconcagua solved my issue. I forgot the ampersand, and once I put it in there, the %s works for reading both char and int (something I didn't know)! Thanks all who offered help! I have an input file for an assignment that has chemical formulas that need to be scanned in and printed (ex. SO). I am using a structure to read in the data as it is accompanied by a series of floating point numbers that are used in calculations. How would I declare the variable and scan that piece of data? I tried declaring as both char and unsigned char while using %s to try to read it in. This should get the proper types if you've declared the various members of whatever type gases is to be the same types as the data in the file. In this case, it looks like gas would be a std::string, and the coefficients would be either float or double. If possible I do wish to allocate a logical core to a single process exclusively. I am aware that Winbase.h contains Get/SetProcessAffinityMask and SetThreadAffinityMask. I can get all processes running when the specific process is started and set their affinities to other logical cores, however, I do not want to check all processes in a periodic manner, for instance in order to deal with processes launched after the initiation of my process. Furthermore there will be other processes which need to use specific logical cores only exclusively (no other process shall waste resources on that logical core). For instance my process shall run on core 15 but another shall run only on core 14. Is there a better and more permanent way to allocate specific logical cores to specific processes than above mentioned Get/SetProcessAffinityMask scheme. I have some problems to do that. The result is not deleting completely. 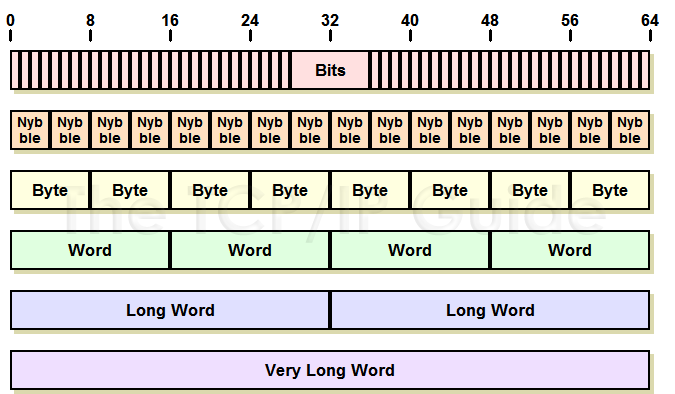 I'm working on an emulation of a simple CPU and I want to simulate the 16-bit registers so that I can access AND manipulate them as both two bytes and as four nibbles (for BCD). Is there a way to declare the same variable to be simultaneously both regBytes and regNibbles and maybe even a third way as regBits? The image below should illustrate what I mean a little. I once (long time ago) read in an old book about COBOL having a feature called MAPS (and something called COPYBOOKS and PICTURES) which allowed a single block of data to be broken into parallel definitions of multiple fields and it inspired me to wonder if there is a similar language feature (or library) available to do this in either C++ or Java.